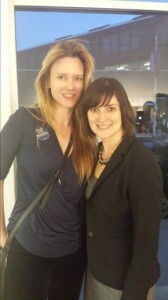 Last night a close girlfriend and I went out to a little gallery on Melrose that was holding a fundraiser for Sandra Fluke in her run for state Senate. Two young women – one of them Thora Birch of AMERICAN BEAUTY fame – gave speeches, intelligent, impassioned, thoughtful, informed speeches, and I thought again of this hunger that is out there for female role models who are not celebrated first and foremost for their hotness (or criticized for a supposed lack of). The same friend and I had gone to hear Sandra speak at another event about a year ago. During the q + a someone asked how she felt about the vicious verbal attacks Rush Limbaugh and his ilk aimed at her when she spoke to the need for insurance companies to cover birth control. I liked this answer because it showed how Sandra recognized the impersonal nature of these very personal attacks. They weren’t going after her so much as what she stood for: the idea, or set of ideas, that she embodies. She knows that those ideas are worth championing. She is hooked into something bigger than herself. I thought of Sandra when I went to hear Hillary Clinton speak at UCLA a few months ago. When her interviewer asked what Hillary’s advice would be to all the young people in the audience who want to change the world, Hillary spoke of the need for young women in particular to grow a very thick skin. Male or female, though – unless we’re narcissistic or sociopathic – we generally want people to think well of us. It’s easy to say you shouldn’t care what they think, but it’s harder to actually do that when the part of the brain that registers a social slight is the same part that registers a physical blow. We are social animals, and once upon a time isolation from the herd meant probable death. To lose approval in the eyes of others can be, to our ancient brain, as much of a survival threat as something crouching in the bushes to eat us. Hell, we want to be loved. The problem with like is that it is such a lukewarm word (unless you have a gift for likeability; Tom Hanks comes to mind). Like doesn’t tend to fire people up, compel or lead them. Simon Sinek explains that when we like something, we are operating out of the rational part of our brain. Love, on the other hand, is deeper, more primal, pulsing in the part that deals with emotion. Love drives us beyond the so-called rational. Love drives out fear, including fear of change. We’ll follow what we love to the ends of the earth. We’ll fight for what we believe in and what we hold dear. We’ll build a life around them. Love is bigger than we are. There can’t be love without hate. There’s nothing lukewarm about love: it blazes. You’re dealing with ideas that get under people’s skin, that challenge the way they see the world, the meaning they make of it. You can’t stand for something without standing against something else. In order to have believers, you have to have nonbelievers. Some of them will say anything to intimidate you — to make you sit down and shut up — so that their worldview reigns supreme. In order not to care – in my humble opinion, anyway – you have to know what you stand for. You have to know what you love. Maybe it’s a cause, or a people, or your dog, or a movement, or an idea whose time has come. Maybe it’s something as stripped-down and vital as your right to be fully who and what you are, not defined by others. Whatever it is, you take it into you; its voice becomes your voice, it lives through you and connects to others who feel the same way. It takes your ego and subsumes it. Which doesn’t mean that when the trolls and haters come out – and they will – and try to shout and shrink you down – and they will – it won’t hurt. It just means there’s something much bigger for you that remains when the hurt goes away. It redeems the burn through the meaning it gives it. We live in a consumer culture. It encourages us to be small, to think only of our flaws and imperfections and what we can buy to ease our inadequacy. But the self is not big enough to contain us. To be perpetually self-conscious is to be anxious and miserable, trapped in the narrative in your head instead of engaged with the reality outside it. We need the world, we need love for something of the world so that we can lose ourselves in it and find ourselves through it. When you know what you stand for, you know who you are. I stand for Sandra Fluke. She is awesome. This reminds me of Theodore Rubin’s Compassion and Self-Hate; have you read it? @Jess Corra Yay Jess, great to see you again. How’s your book/ your writing? Have not read Rubin, no, but will check him out. I just learned about something called “compassionate objectivity” — to use with yourself to overcome the demons of perfectionism — this sounds like it might be in that vein. “Whatever it is, you take it into you; its voice becomes your voice, it lives through you and connects to others who feel the same way. It takes your ego and subsumes it” this went directly to my soul! thank you so much Justine,I love your work! I loved this post — came at a beautiful time for me — especially this piece of wisdom: “It redeems the burn through the meaning it gives it.” Thanks for your compassion and wisdom. This reminds me of a great piece of advice I received as a child. When someone verbally attacks you, they often first attack the things about you they most hate in themselves believing that these are the things that will cause you the most hurt. Quite often these are the traits and habits they try to hide from the world. And the other things they usually attack are those that make them feel uncomfortable or threatened. I was only in mid primary school at the time and heard the words with a large dose of disbelief, only to soon find out how often this was true. Their words lost the power to hurt, causing me to instead feel sorry for them. Look at this bitter aging ex…didn’t grap enough millions off your divorce? So now need to spew your misogynist non-sense? You’re quite a dependent, weak and useless creature…so full of Privilege, you’re digusting. I don’t understand people who leave hateful comments online, as if there isn’t already enough negativity going around the world. It is easier said than done to not care what others think. Sometimes negative remarks really hurt, no matter how stupid or off the point they are. Fluke stood for a great cause and received a lot of support besides the negative criticism. However many of us have to deal with other people’s opinions for everyday matters and without any support or publicity. 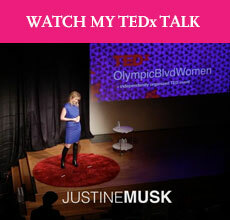 I usually fail not to care :) Your writing is refreshing and exuberant Justine, I only wish it was longer. Love to read a non-fiction book written by you some day. Justine this is fabulous. I have been playing with this idea a lot lately – moving away from living in like and more towards the passionate, unpredictable, courageous world of living in love. Perfect. Thank you! I read this today and thought very apt…..
My first time commenting, loved the article. As someone just starting out on an journey to help get the health message out into the world, this article is very relevant and reminds me that there will always be those who don’t agree and that’s ok, its my attitude and actions that matter the most. If its done out of love its done for the right reasons. Good one!!! And SO true! And what can be the most painful is when those haters are closest to you. You have to really stand on your own feet to fight that! One of the best things I was ever told was, “Like, not love. Like, not love.” The friend who told me this was trying to protect me. I was trying to ingratiate myself into circles where I was liked, but not loved. That simple phrase has saved me years of hurt and brought so much more love into my life. Help! I’m the ‘anxious’ miserable one who has to hide in order to feel sane. On most days I have to wear a mask because I’m too afraid to be me. I live in a world where ‘I’ don’t fit in. I know what I want in life… just to be accepted without the fear of being judged. I need to somehow develop a thick skin… I’m not sure how to do that. To the outside world I’m an extravert who hates the word ‘no’. I hate being a disappointment the one who dashes peoples dreams… I feel that way because I always put myself in the receiving end. But the truth is I’m an intravert who just wants to hide from all the hate and harm.